You are massaged from the outside in by a nurturing and deeply relaxing form of HAWAIIAN BODYWORK, called “LOMI LOMI”, that relaxes the muscles in an effective and non-invasive way. 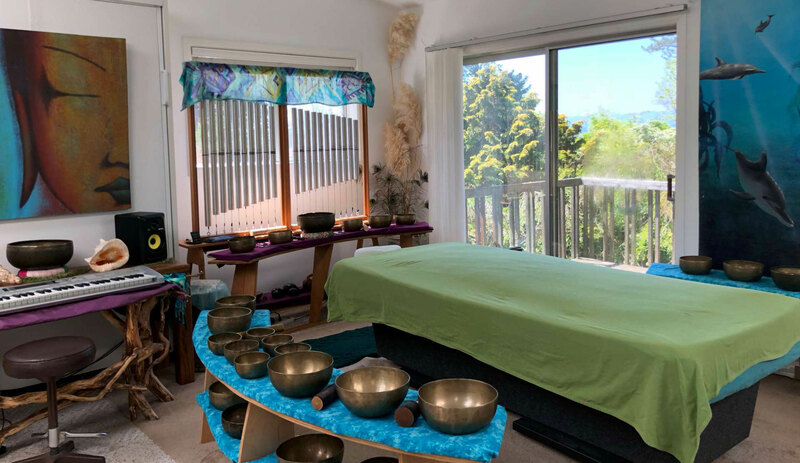 You are massaged from the inside out by the soothing vibrations and tones of TIBETAN SINGING BOWLS played directly on the body. Stress easily melts away while mind chatter simply disappears. You emerge from this magical experience feeling deeply relaxed, as well as replenished and rejuvenated, with all levels of your being vibrating in harmony. A sense of centeredness and balance is restored, rising up from deep within your core. Yes......Some Experiences DO Transcend The Ordinary~~~ and this is one of them...! Located in Clinton, WA on Whidbey Island. Also serving Langley, Freeland, Seattle and surrounding areas.